In the third round of the 2019 AT&T Pebble Beach Pro-Am, Davis Love III makes birdie on the par-5 14th hole. In the final round of the 2019 Sony Open in Hawaii, Davis Love III lands his 137-yard approach within 3 feet of the cup at the par-4 16th hole. In the final round of the 2019 Sony Open in Hawaii, Davis Love III lands his 135-yard approach inside 10 feet of the cup at the par-4 5th hole. In the third round of the 2019 Sony Open in Hawaii, Davis Love III gets up-and-down from a greenside bunker to make birdie at the par-5 18th hole. In the second round of The RSM Classic 2018, Davis Love III sinks a 39-footer for birdie at the Seaside par-3 17th hole. In the second round of The RSM Classic 2018, Davis Love III sinks a 15-footer for birdie at the Seaside par-4 13th hole. In the second round of The RSM Classic 2018, Davis Love III lands his 220-yard tee shot 6 feet from the cup at the Seaside par-3 12th hole. 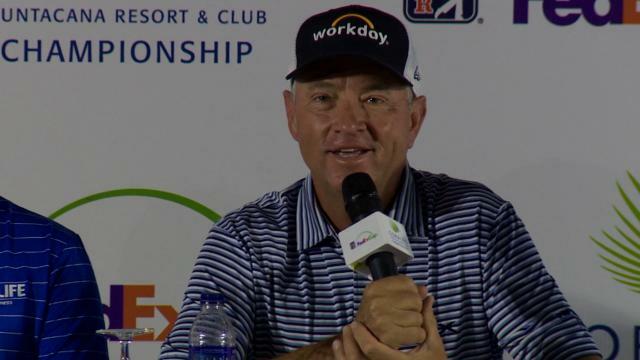 Prior to The RSM Classic 2018, Davis Love III talks about trying to play injury free for a season and chronicles his history of shortened seasons.